Milan is a family owned business in the heart of SE Portland. 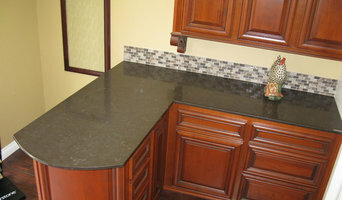 We provide custom countertop solutions to homeowners and residential contractors. Intrepid Marble and Granite is an importer and distributor of all types of decorative natural stone slab and tile; ceramic and porcelain tile; LG Viatera quartz slab; as well as glass, metal and stone mosaics. Our facility located at 4000 NW St. Helens Rd. in Portland, OR is comprised of a 5,000 square foot tile showroom, a 2,000 square foot professional trade room, and a 60,000 square foot indoor slab gallery. This is the ideal starting point for your building or remodeling project. We work with all segments of the construction industry in facilitating a seamless experience with your industry professional. Our qualified staff is pleased to provide design and referral assistance. We look forward to serving you. Welcome to Signature Stoneworks! We’re a full service stone and tile contractor; focused on making sure our clients get exactly what they are looking for. Whether you need a recommendation on which material to use or if you just need a pro to get the job done, we can help! We work to understand your vision, then work diligently to provide you with a product you will love and workmanship that will stand the test of time; bridging your dream with reality. Our passion drives us, while our experience means you can rest easy knowing the job was done right the first time. Call today to see why a family of other satisfied home owners chose to get more by investing with us. Portland Marble Works leverages a deep network of suppliers to bring you the best selection of natural stone, quartz and sustainable surfaces available on the market. Natural stone is unmatched in beauty and durability. Each stone is unique in its textures and patterns and makes any project a work of enduring beauty. Our large selection of Quartz products offer you a distinctive palate of colors suited for any interior application. 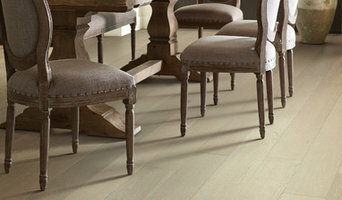 They carry the Greenguard certification and have stain, scratch and heat resistant properties for easy maintenance. Our many eco-friendly materials offer a sustainable approach, from using recycled glass to being produced in a facility with zero waste.